An easy, efficient & accurate method to square-up half-square triangles. 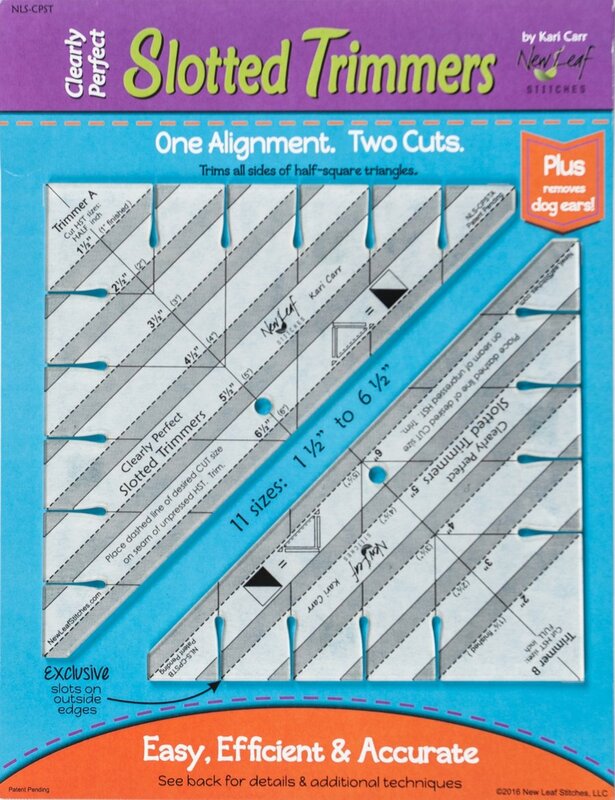 Align the seam of an unpressed hst with dashed lines and with easy strokes, trim all four sides. The unique edge slots allow for trimming of the dog ears at the same time. No need to rotate fabric to realign. Other uses include: square-up hour glass blocks, strip piecing of half-square triangles, strip-tube method of block construction and fussy cutting. Trim up to 11 sizes from 1 1/2" to 6 1/2" (Two trimmers allow for full & half-inch sizes). 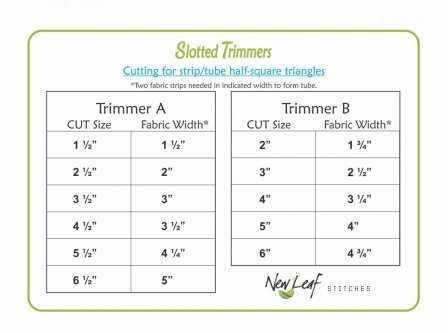 Please note: although these trimmers are manufactured by the same company as some large, well-known ruler companies, they are a little more delicate because of the slots close to the corners. Please take extra precautions so that they aren't dropped.